"People ask me about what sacrifices I've made. I always answer: I've made no sacrifices, I've made choices." 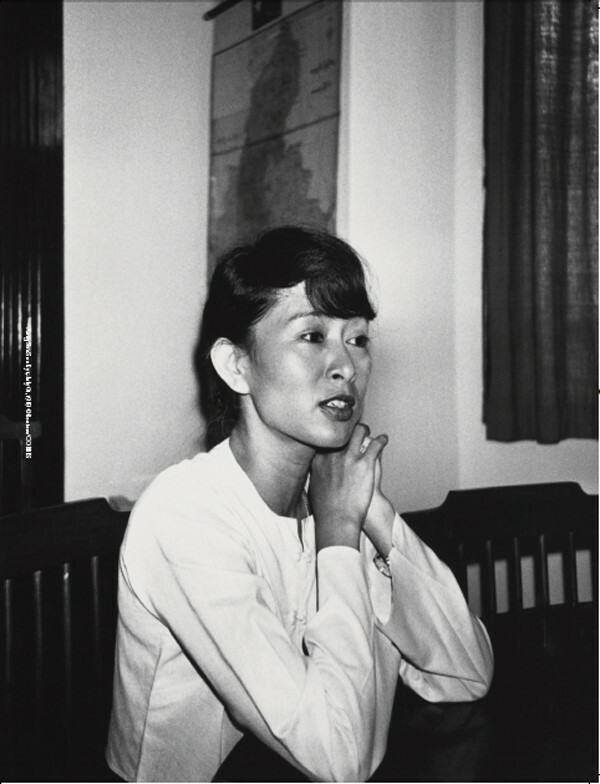 Aung San Suu Kyi talks to Ed Caesar in Another Magazine A/W11. Less than a year has passed since Ed Caesar smuggled himself into Rangoon on a tourist visa to interview Aung San Suu Kyi for AnOther Magazine A/W11, yet the events in Burma over the past months have been momentous. The ball of political change, which began its painfully slow progress back in 2010 when a nominally civilian government took charge of the country, has gathered unprecedented pace, with 1700 political prisoners freed, ceasefires with ethnic rebels and, on April 1st, a by-election which saw the National League for Democracy win 43 of the 45 parliamentary seats they contested. Less than a year, yet the political landscape has changed beyond recognition. However, if this comes as a surprise to the world, AnOther’s interview with "The Lady" of Burma would imply that the changing backdrop is only what she expected. Amid a climate that Caesar characterized as filled with fear and paranoia, where the people were cowed into quiescence by their leaders, Aung San Suu Kyi argued for calm and for unwavering faith in what the future might hold. It is a feat that many who had undergone the hardships and personal tragedies meted out on her would find impossible, yet she has remained resolute and stalwart. As she stated to Caesar, "You can only hope as hard as you work. We work very hard, so we have the right to hope.” Now it seems that her approach is at last paying dividends. And progress continues apace. Following meetings over the last months with Hillary Clinton, William Hague and David Cameron, today it has been announced that Aung San Suu Kyi will journey outside Burma for the first time in 24 years, making diplomatic visits to Norway and the UK later this summer. Considering the situation through the prism of AnOther’s meeting with Aung San Suu Kyi, this progress is extraordinary; yet clearly caution is needed, and no one voices this better that the figurehead of the movement herself. When asked in recent days how democratic Burma was on a scale of one to 10, she answered, ‘on the way to one.’ For all the smiles and celebrations, her work is by no means over, and even more hope is needed to take Burma firmly down the path to true freedom and democracy.